Jobs Details :- Application are invited for the Posts of 40th SSC (Technical), 11th SSC (Technical), Widows of Defence Personnel in Indian Army . 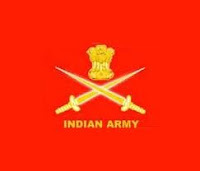 How to Apply : Apply Online at Army recruitment website http://joinindianarmy.nic.in from 01/08/2012 to 31/08/2012 only. Take print out of the online application format and send it with relevant documents to Application Forms in accordance with the prescribed format, colour paper and omplete in all respects is to be sent to the following address to reach by 14th September, 2012 by registered post/ speed post to Additional Directorate General of Recruiting (Rtg-6), TGC Section, West Block-III, R.K. Puram, New Delhi – 110066.